Metro: Last Light game was one of the most anticipated projects this year. 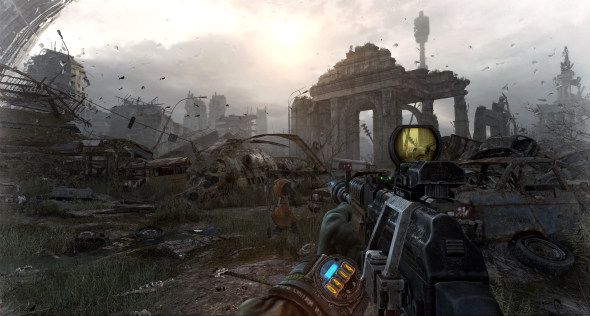 As a sequel to the stunning post-apocalyptic shooter Metro 2033, developed by Ukrainian company 4A Games, this title promised us to show new pages of living in the world survived after nuclear war, where there is no hope and no light. Metro 2033 story is based on the famous Russian book of Dmitry Glukhovsky that tells about dark and hopeless world after nuclear war. Metro: Last Light game briefly tells us what the previous game was about and drags into the new plot. 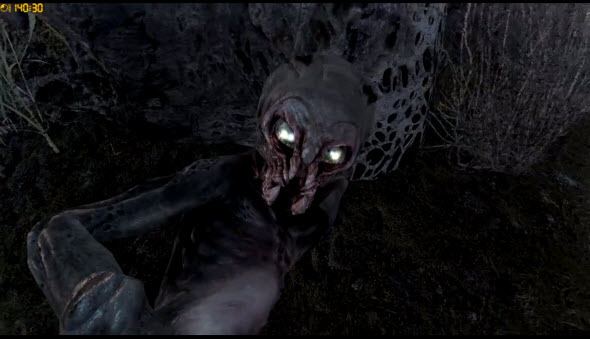 The story starts a year after the previous events passed and Artyom - the silent protagonist of the series - destroyed the Dark Ones - mutated humanoid-like creatures that frightened the characters in the previous game's part. But one of them managed to survive and now you need to find it and kill or maybe, vice versa, try to make it your ally. Metro: Last Light plot starts very dynamically, but then it becomes very tangled and unclear, so, unfortunately, the developers were not able to create the story that would be interesting from the first to the last word. But the atmosphere of total horror and despair is still present in the Metro: Last Light game, and this fact really makes it very unique and great. Long, eerie, claustrophobic passages of Russian underground frighten and make you feel lone and small against the infinite terror of dangerous people and disgusting mutants. The gas mask, that makes it possible to get out of the metro and go up to the surface, obscure the vision and hamper the breathing. The limitedness of ammo makes Metro: Last Light not the typical shooter, but real survival horror. Different interesting dialogues between non-playable characters give you the deep understanding of what is happening there. And together with brilliant atmosphere the flow of gaming process is various, so you won't be bored, completing one mission after another. 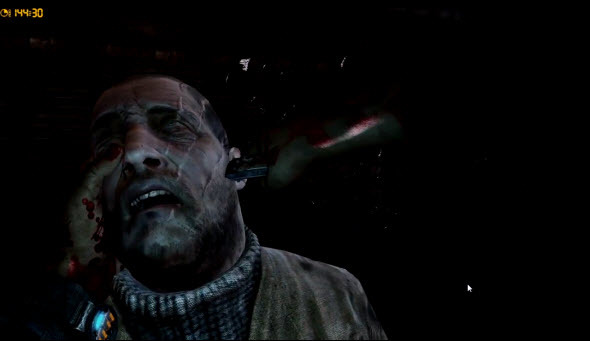 For example, the Metro: Last Light game starts with the horrifying scene, in which your friends and companions suddenly turn into gruesome monsters. After you will get the brief explanation of the plot and gameplay from different characters. During the rest of the game there will be a lot of shooter scenes and even much more stealth ones. Stealth mode in the game is appropriate, when you are fighting against people. For instance, you can turn off the bulb in the corridor to hide from your persecutors or move in the squatting position to avoid your enemies. This type of walkthrough should have been very exciting, but in Metro: Last Light game it hasn't been developed really well. The artificial intelligence of your opponents leaves much to be desired, so in many situations stealth mode is just dull. As in the previous part of the series, in Metro: Last Light game the bullets are the currency and the weapons are created very carefully. 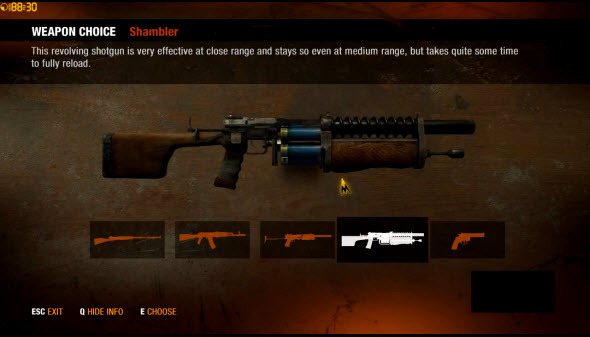 Moreover, here you will get the bigger choice of rifles, shotguns and pistols and will be able to improve them, for example, with silencer. 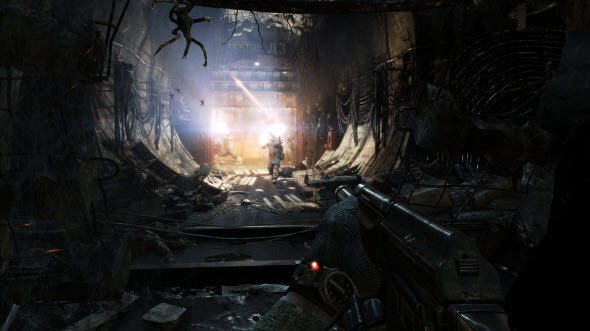 Metro: Last Light game has three difficulty modes. It takes about 10 hours to pass the game in Normal Mode, where everything is pretty easy, but still interesting. But also it has the additional Ranger Mode, which is created for really hard-core gamers. The developers wanted to save the best parts of their extremely popular shooter - Metro 2033 - and correct its mistakes. But unfortunately Metro: Last Light game still has some disadvantages and minuses, which, however, don't make this game bad. Even with numerous problems and tangled plot the game still looks like something really unique and really cool.